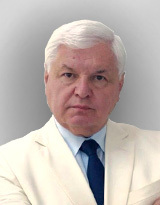 Loginov Alexander Borisovich – PhD, Associate Professor, Deputy Medical Director, V.F. Snegirev Maternity Hospital № 6; Associate Professor, Department of Obstetrics, Gynecology and Neonatology, I.P. Pavlov FSPb SMU.